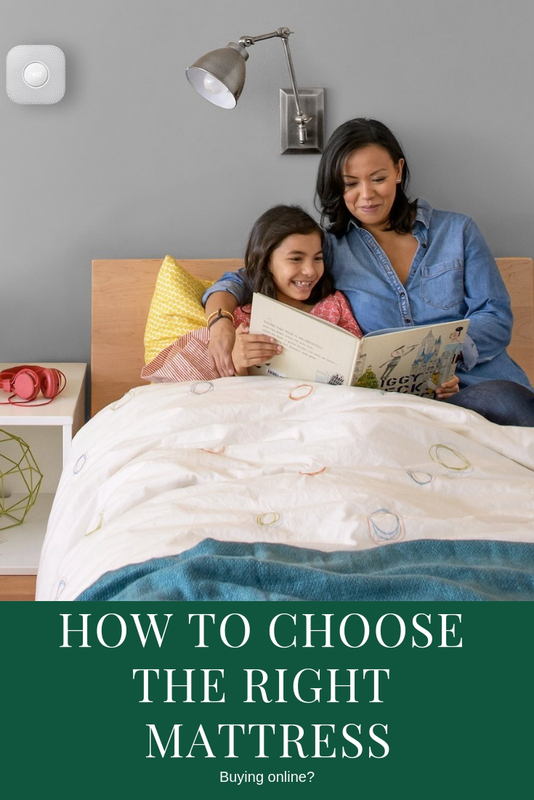 There are so many options when it comes to buying a mattress - where do you even begin? That's where we found ourselves when were moving into our new home. As we were moving overseas and needed the bedroom to be ready from Day One, going to the local mattress store wasn't an option. Truth be told, we also didn't want to deal with a pushy mattress salesperson like we had to when we were looking to buy our last one. So we did our research and bought all our mattresses online this time. We're really happy with our purchases so far and hope this research will be useful for you as well, even if you're buying them at a physical mattress store. 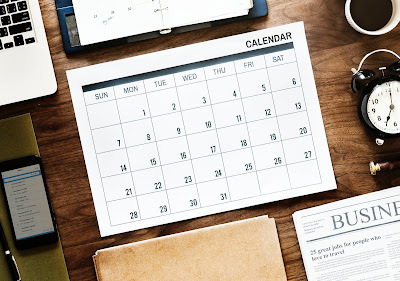 What is the best month to buy a new mattress? Price is an important factor to consider when purchasing your new mattress so before we go further into the different types of mattresses as well as other factors to consider, let's look at how you can get more bang for your buck by buying at the right time of the year. Presidents Day, Memorial Day, Fourth of July, Labor Day and Black Friday also see retailers throwing out discounts to entice potential buyers. If you missed the clearance sale in late winter and early spring, wait till a holiday weekend to buy a mattress. Now that we know when's the best time to buy a new mattress, let's consider a related question - when do we know it's time to change our mattress? One clear reason to change a mattress is when it's affecting your sleep or falling apart. How long should a mattress last anyway? As with almost everything in life, "it depends". Mattress salespeople might tell you that you should replace your perfectly fine mattress after five years but there's no real reason that you should. They claim that after five years, there'll be so much dead skin and bugs in the mattress that you should replace it even if it provides the necessary comfort and support. The truth is, depending on the type of mattress as well as how well you take care of it, its lifespan can vary wildly. Typically, the comfort layer is the first area to fail and a poor quality foam comfort layer may become unusable after a year or so. Innerspring cores typically last around ten years while a good latex core can last even up to twenty years or more. Generally, a good foam or latex mattress should last longer than ten years. Which type of mattress is best? The two main types of mattresses on the market today are Innerspring mattresses and Memory Foam mattresses. Innerspring mattresses have contiguous metal coils at their core, which are then covered with a layer of foam at the top for comfort. Spring mattresses are good for those who want a firm bed. A good quality Memory Foam mattress is like having millions of tiny little springs support you and distribute your weight evenly. Is it better to sleep on a soft mattress or a hard mattress? If you sleep on a firm mattress, you will find that it is less strenuous on the back. A word of caution though. There is such a thing as a mattress that is too firm. The downsides of a firm mattress that is too firm are that it inhibits blood circulation and also doesn't align with your spine. On the other hand, a mattress that isn't firm doesn't provide enough support for your back and you could find yourself waking up with a backache in the morning. With so many factors to consider, it helps to make one factor a constraint. The easiest one to do is budget. The price of mattresses vary wildly and while it may be tempting to make a price-quality inference, there are a lot of non-quality factors that go into the price like selling and distribution costs, marketing costs, sales commissions etc. Don't fall for that salespersons' line, "you can't put a price on a good night's sleep." 2. What are your needs? Now that you've locked down a budget, here are other factors to consider within your budget. Everyone's situation is different and it is impossible to get a recommendation that fits everybody's needs. - How long do you need the mattress to last? - What mattress size do you need? - How firm do you need your mattress to be? - Do you need a mattress that can ship immediately? Once you've got a firm idea of what you're looking for and fits your needs, now comes the fun part - the actual shopping! Don't pressure yourself when it comes to choosing the "perfect mattress", there is no such thing. There's only a "right mattress" for your needs. One of the downsides of buying a mattress online is that you can't go for a "test drive" like you can when you buy from a store. So how do you ensure that you're buying a good mattress that isn't going to give you problems? This is where online reviews come in really handy. I know that online reviews have been getting a little bit of a bad reputation lately due to all the shenanigans that go on with trying to game them but you can get a pretty accurate picture by looking at reviews from "verified customer purchases", especially the negative ones. Ultimately, shopping online is a trade off - your time and convenience versus getting to test out the mattress before you purchase. If you're buying a $4,000 mattress, you should definitely test it out at the store first but if you're purchasing single mattress for under $200, is it really worth your time to drive out to the store? Searching for a memory foam mattress yields over 70,000 results on Amazon - talk about information overload. How's one supposed to narrow it down when there's so much to choose from? Here's how we did it and some of the results. Since we're looking for twin mattresses that are affordable and of good quality, those are the three criteria we'll narrow down our search results by. And with just these three filters, 70,000 results have been whittled away to 80. How do you deal with fake reviews? One easy way is to only consider those mattresses which have more than 200 customer reviews. Don't just stop there though - filter by 'verified customer purchase' and read the individual comments, especially the negative ones before making your purchase. Anyway, here are five good and affordable mattresses for your consideration. These are some of the good twin mattresses we narrowed our choice down to when we made our buy. All of them are under $200 and have good reviews. It would have been good if Amazon would allow you to filter by the number of reviews as well but unfortunately that feature isn't available at the moment. Hope this guide and suggestions help you when you buy your mattress. In full disclosure, there are a number of affiliate links in the article above. They don't cost you any extra to click but you should always assume i'm making a ton of money from this.